Dutch prisoners are being given the chance to help with unsolved crimes as police issue a cold case calendar featuring unsolved murders or disappearances. The Dutch are no stranger to innovation where it concerns their prison system. 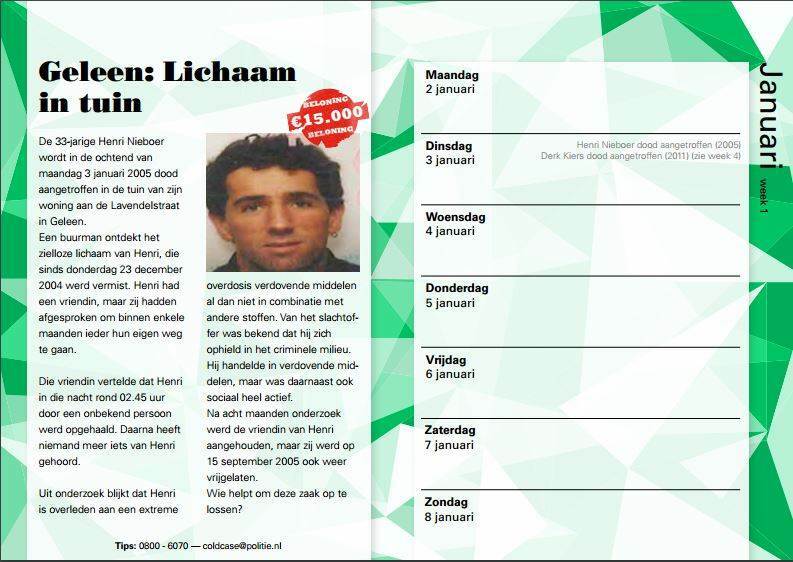 And now Dutch prisoners are being given the chance to help with unsolved crimes as police issue a cold case calendar featuring unsolved murders or disappearances. Each week of the year in the 2018-19 calendars will have a photograph of a murdered or missing person, together with the details of the case. They will also contain details on how to make tip-offs. Since it’s well-known that the inmates talk amongst themselves about crimes committed, the police thought it would be a good idea to see whether they can get more details on cold cases this way. Almost two-thirds of the inmates thought this was a good idea, although some are still unconvinced, claiming they don’t want to be seen as a snitch. However, to help them protect their identity in exchange for valuable information, the police said they will offer anonymity in certain cases. 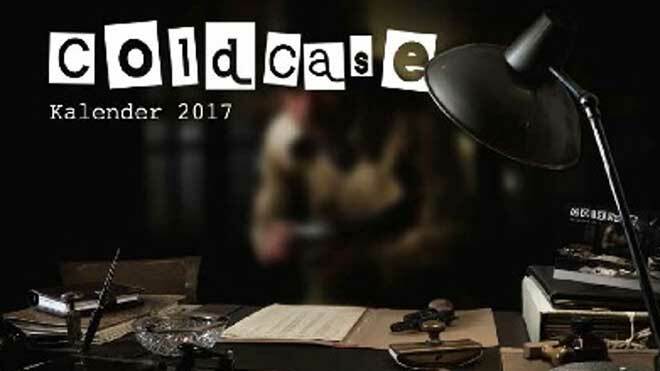 The cold case calendar has been printed in multiple languages – Dutch, Spanish, English, Russian and Arabic – in order to expand its reach. A total of €800,000 is also being set a side, to reward participants whose information leads to a successful conviction. The cold case calendar has already passed a five-month trial and proved to be extremely useful – the police said that they received 160 tip-offs during these five months, which is the number they usually get during a year. These tip-offs allowed police to reopen two out of 52 cases featured on the cold case calendar, including that of Nicky Verstappen, an 11-year-old boy, who was murdered at a summer camp near Brunssum in the south of the Netherlands in 1998. The idea itself was inspired by a program in the United States, where, in some states, inmates are being given decks of playing cards with information about the most troubling unsolved cases. However, as Salome said, the Dutch didn’t want to play games with the dead, so they opted for the calendar instead. Yes! There’s a Ned Flanders Band called Okilly Dokilly.